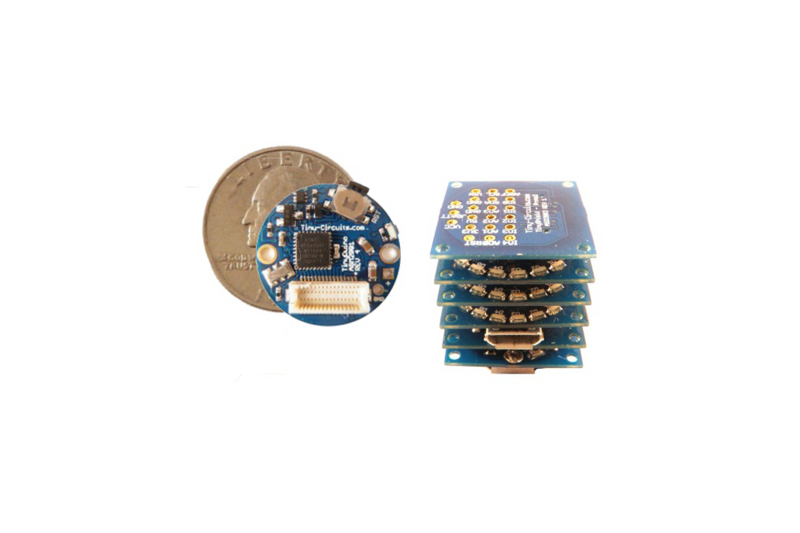 TinyDuino - The Tiny Arduino Compatible Platform - with stackable shield support yet smaller than a quarter! Imagine the possibilities of having the full power of an Arduino Uno in a size less than a quarter! 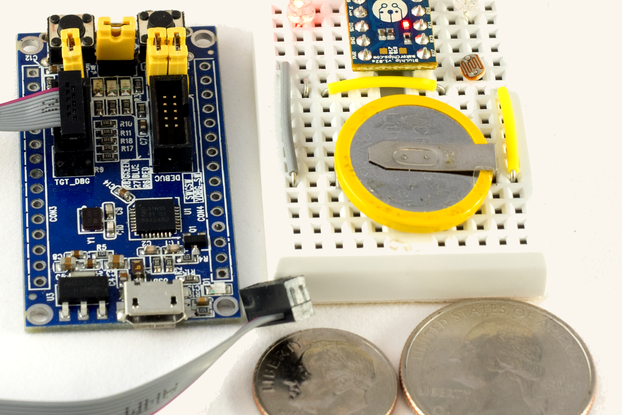 The wildly successful TinyDuino Kickstarter project is now available for general purchase. 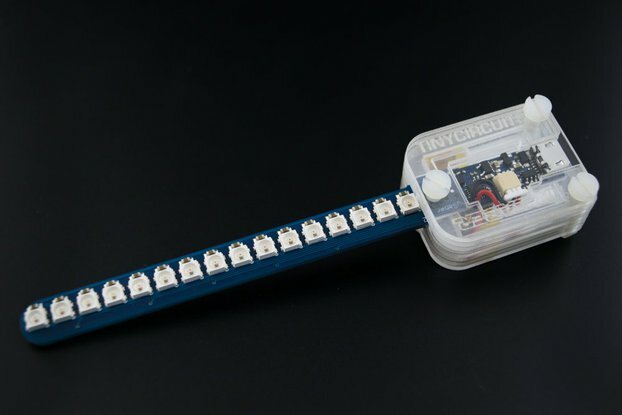 This kit lets you really get going to create some cool projects with the TinyDuino! 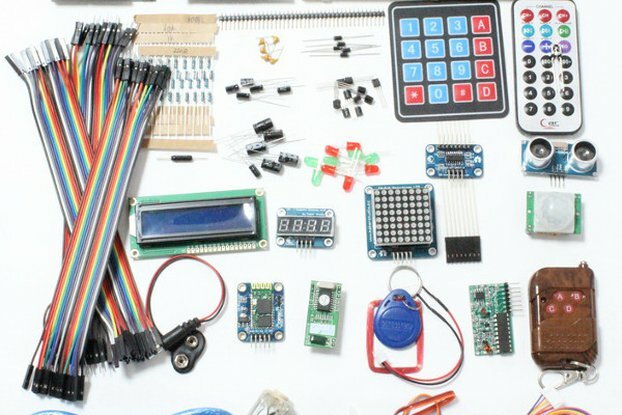 This kit includes the TinyDuino Processor Board w/ battery holder, the TinyShield USB & ICP Board, a green 16 Edge LED TinyShield, one of each of the Proto Boards: Proto1, Proto2, and Proto3 , and a 4 board mounting kit (Screws, nuts and standoffs) and basic instructions on how to get going. 20 I/Os (14 Digital, 6 Analog / Digital I/O) - All the signals on the Arduino Shield connectors are supported! We love the Arduino and the Arduino LilyPad - these are the best boards out there for developing quick projects and are very easy to use - even for people with little or no experience in electronics. But we kept running into projects where they were just too big or expensive, and we heard this complaint from other Arduino users in our local Hackerspace (SYN/HAK in Akron). 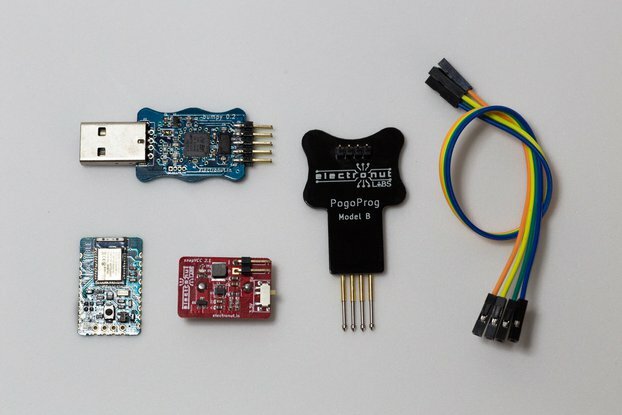 We looked at all the other small Arduino boards out there - but they all had drawbacks. 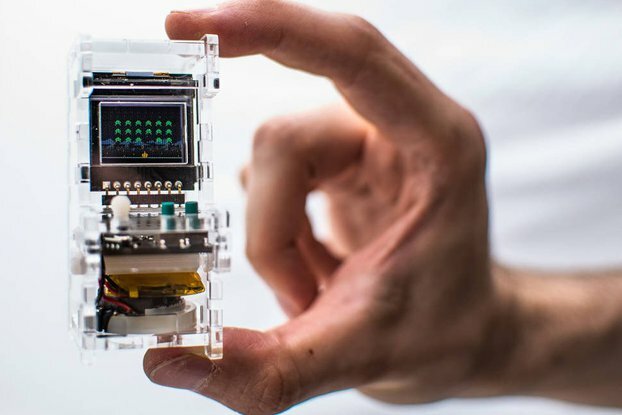 Most were based on smaller, less powerful processors, and all lacked one of the best things about the Arduino platform - expandability through the use of shields. So we set out to build a tiny platform that had all the power of the Arduino, yet still had easy support for expansion via shields and a lower price than a full Arduino board. 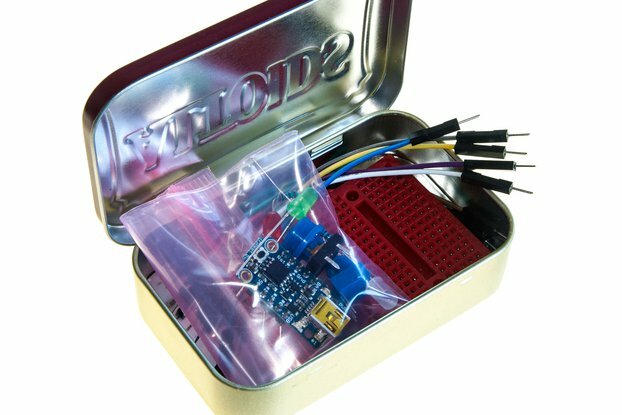 The result is the TinyDuino - a completely Arduino compatible platform smaller than the size of a quarter, yet with all the power and functionality of the Arduino Uno board - including Shield Support! This is the first of the "really, really tiny" microcontrollers that has actually been useful out of the box. The mechanical design of the shields works well, the mounting kit is ingenious. I cannot wait for the LE Bluetooth module.